Yes, I’m a day late on the Cinco de Mayo recipe, BUT everyone loves Mexican food 24/7/365, right?! Honestly, I can’t believe how long it has taken me to get on the pressure cooker game, but I’m here! I’m a believer. A convert. I’m hooked! If you haven’t used a pressure cooker yet, you were like me and probably didn’t want to purchase another big kitchen device. Or, like me, you weren’t sure if you needed it. Well, I’m here to tell you, that if you’re a big fan of cooking and are often busy on the weeknights or feeding a family and have a lot going on at once, you NEED a pressure cooker. I’m not going to talk all about why Mealthy is the best pot ever (because again, this isn’t sponsored and this isn’t what this post is about), but I will just say that I love it. While I haven’t tried any other pressure cookeres/multi-pots out there, I’m loving this one and can’t stop using it! Now, I’ve made this chicken for Lu and Luca twice and it’s literally the LAZIEST meal ever, but I’ve never seen Luca eat so much in a meal than when I made him this chicken. The key is picking high-quality chicken thighs (I get mine from Whole Foods) and a quality jar of salsa. I found this one by Organic Bello in my local grocery store and it’s AMAZING. I went for the Medium heat, because I was worried Luca couldn’t handle Hot. But, if you’re cooking for some spicy lovers, give the Hot a try! Or Mild, whatever your preference is. 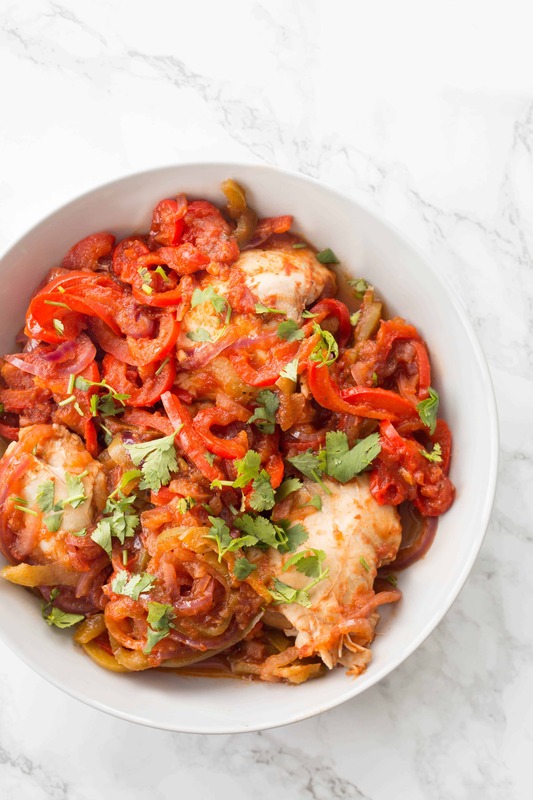 When you go to make it, you literally add the chicken thighs to the bottom of the pot, top with bell peppers and onions and pour over that jarred salsa. Toss a little with tongs and then press POULTRY, set for 8 minutes and walk away. It takes 5-ish minutes for the pot to warm up and then in 8 minutes, you have flavorful, juicy chicken thighs with veggies. I served this with some quinoa and avocado, so enjoy it as you’d like! 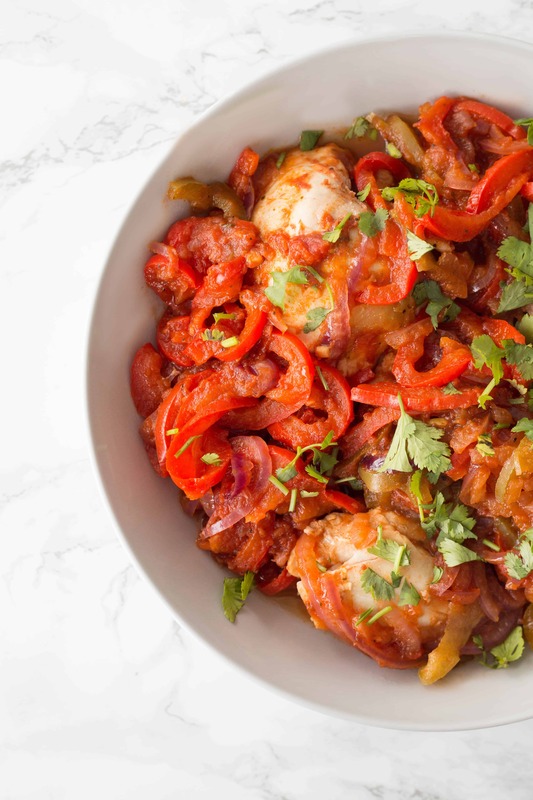 The bell peppers and onions are key though, they add so much more flavor and texture to this meal! It’s incredible (also, from watching so much Sesame Street with Luca all I can think about now when I say the word incredible is incredibELMO). So yes, I believe in the pressure cooker now. Let me know in the comments below if you’d like to see more pressure cooker recipes on the blog! Cook in the pressure cooker for 8 minutes on high pressure. Serve as you'd like, garnished with cilantro! I am so excited you finally got on board with Pressure cooking! I’ve been pressure cooking for several years. I have 2 Cuisinarts which I love. I also bought the new Instantpot 3qt mini which I like because of the size. If Cuisinart had made a small one I would have rather had it. I sort of quit spiraling because I was pressure cooking 1-2 times a day. The other rage right now is Keto or low carb. If you could incorporate that with pressure cooking and spiralizing that would be a dream come true! Thanks for all of the work and time you put into all of your fabulous recipes. Yes! Please more pressure cooking recipes. Love this one. I have an Insta Pot and was scared of it at first. I release the pressure using wooden tongs at arms distance. I love how quick and yes more yummy pressure quick recipes round be Insta good Ali. Yes!! Please more pressure cooker recipes! Vegan ones too! I bought the Mealthy Multipot a couple months ago after much research. I have used it several times (I cook using several different styles and methods, spiralizer, cast iron, wok, slow-cooker, etc). My daughter brought her pressure cooker on a visit (she lives in the Atlanta area and her mother and I live in the Mobile, AL, area) and convinced me I needed one. I agree with you, great idea. Show us some more, especially in combo with spiralizing. Love the new book. Haven't made any of the recipes yet, but about to start. The area where I live is semi-rural and our supermarket doesn't carry much in the way of what they would call exotic foods, I had to drive about thirty minutes each way to a Fresh Market for some daikon radishes I could spiralize, but I'm getting there. By the way, this recipe looks amazing. i'm going to try it pretty quickly. I like Mexican, too (who doesn't?) Did you quick-release or let the cooker self-release. Hi Charles! Thanks for sharing! I like to do self-release (less scary! ), but you can set it up either way! This recipe is delicious. I had a lot of juice in the Instant Pot after pulling out the chicken and veggies, so used it to cook some Mexican rice: 1 scoop rice to 1 cup of liquid. So yummy! Hi Kate! Great idea! Thanks for sharing! Hi Paola! Hope this recipe was a success! Definitely planning some more pressure cooker recipes! Hi Guys - so honestly, I cannot buy another kitchen appliance. 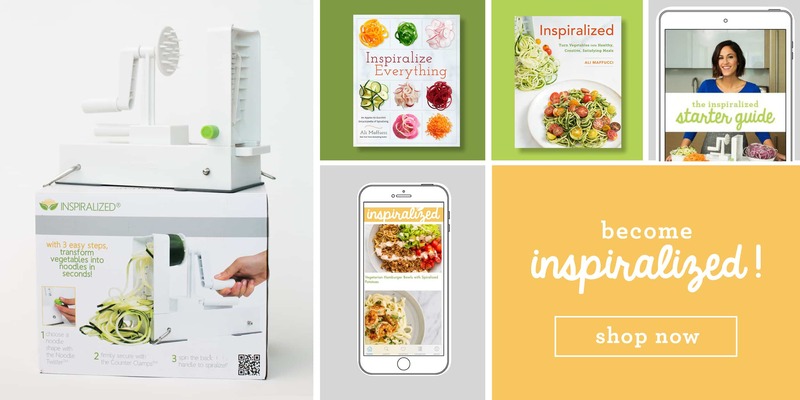 The Inspiralizer was my last I swore. Can I do this in a crock pot or just a Dutch oven?? Hi Jocelyn! We haven't tried it, but try in a crock pot and let us know how it turns out! 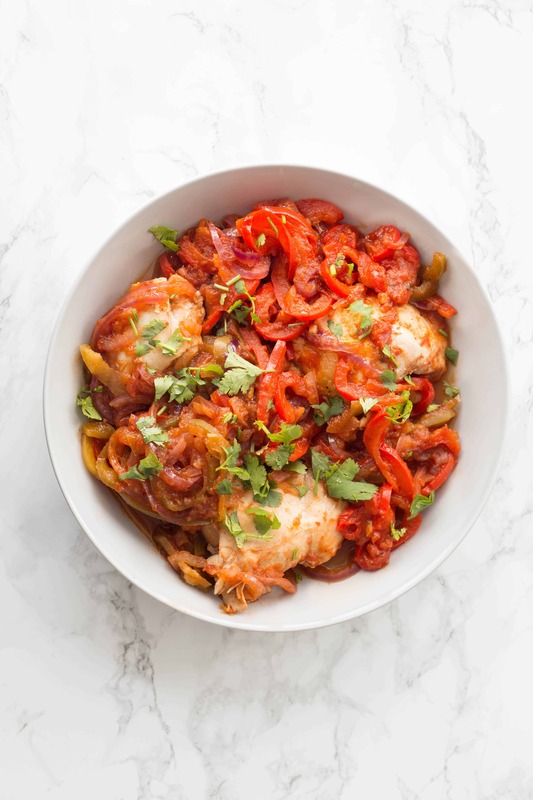 I saw recently on your stories you made this recipe with boneless chicken breasts instead of thighs. Is there any difference in cooking time? I received the Mealthy Pot for Christmas and am finally getting the courage to use it this week! Would definitely LOVE more pressure cooker recipes! Going to try this one this coming week. Thanks!